Pony E-News: Remember to vote Tuesday! Polling Places: Several of our school buildings are polling places this fall. Unfortunately, polling locations are selected by the county and they often require the use of our facilities. Expect extra traffic around Afton-Lakeland, Brookview, Rutherford and Oak-Land Middle as voters head to the polls in these schools on Tuesday. School Board Election: Seven candidates have filed for four open seats on the school board. Learn more. Ponies win two state championships! The boys soccer team reclaimed their title of state champions! Senior Spencer Scott scored in overtime to push the Ponies to a 2-1 victory over Duluth East in the Class AA state championship game on Friday at US Bank Stadium. The state title is Stillwater’s second in three years and fourth overall. Photos and highlights on our Facebook page. The Stillwater Area High School mountain bike team captured back-to-back state championships! Stillwater closed out the season with a first place showing at the Minnesota High School Cycling League State Championship race at Mount Kato in Mankato. 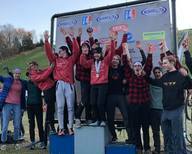 After combining points from the championship race, along with races during the regular season, the Ponies placed first overall in the state. The middle school team also won the overall state championship, after biking to first place in the championship race. The volleyball team is heading to state! 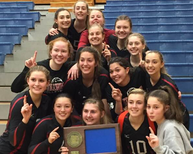 The Ponies won back-to-back section titles after beating North St. Paul in 5 sets. Watch the highlights. The girls will move on to the state tournament, which will be held November 8-10. Check goponies.org for more information to come. The girls soccer team and the boys cross country team both finished fourth at state. The girls cross country team came in fifth. "We’ve had many, many people come into Adam's life and all of a sudden they never come back," Adam's mom says. "Trey is the one who’s stayed true." Watch as KARE-11's Boyd Huppert shows us their special bond. Andersen Elementary has a second Buddy Bench for students to use when in need. 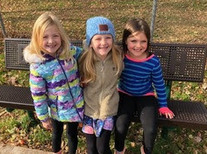 Students are encouraged to sit on the Buddy Bench to signal they might need a friend to play with, are having difficulties with others, are feeling blue about something, or are in conflict. The benches are special because they help to give a "voice" to those who might not be able to articulate what is happening to them. The Buddy Benches were a part of an Eagle Scout project completed by Carson Humphrey whose mom is a 5th grade teacher at Andersen. The Afton Bayport Lakeland (ABL) Lions club is giving area fifth graders a personal copy of the U.S. Constitution. The Lions hope to help the students learn about the importance of the Bill of Rights and other laws. They visited Afton-Lakeland Elementary last week to hand out the copies and give a brief presentation along with question and answer time. They will also give a pocket-size Constitution to fifth graders at Andersen Elementary. The school board will hold a special meeting to canvass the results of the 2018 General Election. The meeting will be held on Wednesday, November 14, 2018 at 8:30 a.m. at the Central Services Building, 1875 Greeley Street South in Stillwater. See official meeting notice.